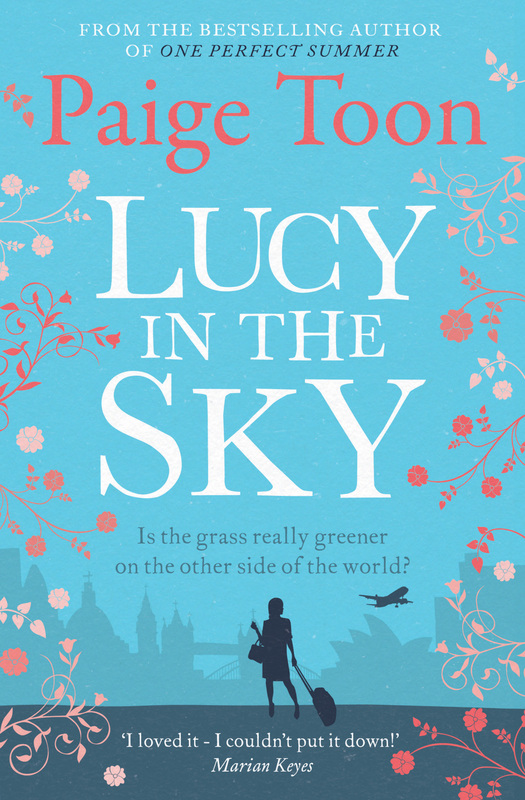 When Lucy Jacobs is made redundant from her inner-city teaching job she fears her career is over. Teaching is all Lucy knows and she’s determined to get back in the classroom as fast as she can. Except the only job on offer is at an idyllic village school in the middle of nowhere – Lucy’s idea of hell. Where are the disadvantaged kids who need saving, where is the challenge? Local boy Charlie Davenport has his own issues about living in the close-knit village of Langtry Meadows. His private life is already fuel for the well-meaning gossips and the very last thing he needs is to get close to the new school teacher…no matter how lovely she is. But as summer days drift away Langtry Meadows weaves its magic, Charlie and Lucy both get the chance to turn over a new leaf and start anew…maybe with each other? I couldn’t wait for this book to come out, the cover is so vibrant and makes you think of the Summer. I definitely found I could relate to the main character Lucy, I felt as though I really liked her alot. There is a certain charm about the story as it is set in an idyllic country village. This is the first book in the series and I can’t wait to read the rest of them. Brilliant writing once again from an exceptional author. This title will be released on June 30, 2016. 1939, and Will and Alice are evacuated to a granite farm in north Cornwall, perched on a windswept cliff. There they meet the farmer’s daughter, Maggie, and against fields of shimmering barley and a sky that stretches forever, enjoy a childhood largely protected from the ravages of war. But in the sweltering summer of 1943 something happens that will have tragic consequences. A small lie escalates. Over 70 years on Alice is determined to atone for her behaviour – but has she left it too late? 2014, and Maggie’s granddaughter Lucy flees to the childhood home she couldn’t wait to leave thirteen years earlier, marriage over; career apparently ended thanks to one terrible mistake. Can she rebuild herself and the family farm? And can she help her grandmother, plagued by a secret, to find some lasting peace? I feel very grateful to Sarah for sending me an advanced copy of her new book. After reading Sarah’s previous book the art of baking blind, I couldn’t wait to see what was in store for her next book. I couldn’t wait to get stuck in and I literally enjoyed every single minute that I was reading this book. I loved the story and the fact that it is set on a farm well that is my ideal setting. I am a big fan of animals and I use to work on a farm so the story brought back all my memories which was nice. The story goes from past to present which sometimes can become confusing but I didn’t find it at all. I enjoyed reading about 1943 and the way certain things were. An emotional story but you will be able to see light at the end of the tunnel. This is a book you do not want to miss out on reading. The ladies of The Chocolate Lovers’ Club should be gearing up for the wedding of the year but life keeps getting in the way . . .
Nadia may have a real chance at finding love but other areas of her life aren’t so rosy. Something needs to change – but what? Autumn can’t wait to meet someone she hasn’t seen in a very long time. She’s full of hope for the future but then things don’t exactly go to plan . . .
Chantal has been through so much and she’s finally starting to feel settled. The last thing she needs is the kind of bad news that could change her life all over again. And yet, despite all the ups and downs, the Chocolate Lovers’ ladies know they can get through it all as long as they have each other. They’re not going to let anything get in the way of their happy-ever-afters in . . . The Chocolate Lovers’ Wedding. I was given this book by a fellow book friend of mine and I couldn’t wait to start it, I am a big fan of Carole Matthews books and I have all of her books. This is book 4 and I would recommend reading all of the other ones before this, so you can get to know all the women. Reading this book made me feel like a warm hug, I feel like I know all the ladies personally now and I would love to have friends that are truly great like that. Such a brilliantly written book, I wonder if there will be a book 5, I do hope so. Christmas is just around the corner but the women of The Chocolate Lovers’ Club have more to worry about than present shopping . . .
Lucy loves running Chocolate Heaven but she hasn’t spent time with her boyfriend, Aiden, in weeks. And then her ex-fiance turns up and things become even more complicated. Nadia hasn’t let herself get close to a man in a long time, yet she can’t help feeling drawn to Jacob. Will he be her last chance for a happy ending? Chantal and her husband, Ted, are besotted with their baby daughter Lana – but she’s not sure that’s enough to base a marriage on. Autumn is dealing with a tragedy that has hit too close to home. But when she doesn’t get the support she needs from her fiance, will she look elsewhere for comfort? Can friendship overcome all in . . . The Chocolate Lovers’ Christmas. All of Carole Matthews books are brilliant, this one was brilliant too. It follows on from Carole’s previous books called ‘The Chocolate Lover’s Club’ and then the second book is called ‘The Chocolate Lover’s diet. I loved catching up with the women from the other two books I feel like I am part of the gang and I wish I was as I could more than happily eat chocolate every day especially in a crisis. I would love to have Lucy’s job but I don’t think much chocolate or cake would be left for the customers as I would probably have eaten it all. A fabulous read that will leave you wanting more. I look forward to the next book. This title will be released on July 2, 2015. 1854. England is in the grip of a gruesome war. Lucy Harvington, ill-educated beyond how to be a wife, has travelled to the Crimea with her handsome and impetuous officer husband Charlie. As the day of battle dawns she can only pray her husband survives. If he doesn’t, what will become of her? Dorothea Gray, volunteer nurse at the Westminster Hospital, is determined to follow her little sister Lucy to the front and to serve her country alongside her heroine Florence Nightingale and the pioneering nurses already risking their lives. I was given an advanced copy of this book for an honest review. I found this book superb, it is mainly to do with what the women did in the war and follows Lucy Harvington who travels to the Crimea with her husband Charlie who is an officer, what she has to witness is truly horrifying and the conditions she has to live in are awful, the other part of the story focuses on her Lucy’s sister Dorothea, who is a nurse and she follows her sister to help serve her country. Her story I found fascinating, though some parts are awful as you can expect. I love the way Dorothea was with her patients and she meets Florence Nightingale which was interesting to read about. After reading this book, I have decided I would like to read more books about our women who served in the war. Such a brilliant read, I couldn’t put down. Settling down for a 24-hour flight to Australia, Lucy finds a text message on her phone – not from her boyfriend James, as she fondly hopes, but from a woman claiming to have slept with him four times in the past month. Trapped on the plane, she questions everything about her relationship with James. She finally calls him and he reassures her: it was only his mates playing a silly joke. James is a lawyer, persuasive and gorgeous and Lucy adores him. This is pure chick lit at it’s best. This is a fast paced read but such an enjoyable one. Brilliantly written with a cracking storyline, it will make you cry and laugh all at the same time. Such a time waster of a book I just didn’t want to put it down. I loved the connection between Lucy and Nathan and I could see what James was really like early on. I really liked Lucy I thought she seemed down to earth and a tad like me in certain aspects. I loved reading all the jokes too, some of them were pretty funny. Would love to read more of Paige’s books soon.